So I bet a lot of you have discovered Neko Atsume (Kitty Collector) by now. I’m quite hooked myself so I just had to do some fanart to show my love for the game 😀 I whipped up some of my favorite kitties in plush form to have them around. The pattern utilizes a super simple sphere-like shape with a few twists. I could see it being really easy to adapt into other characters – I’m tempted to make a Luna, Artemis, and Diana trio myself! 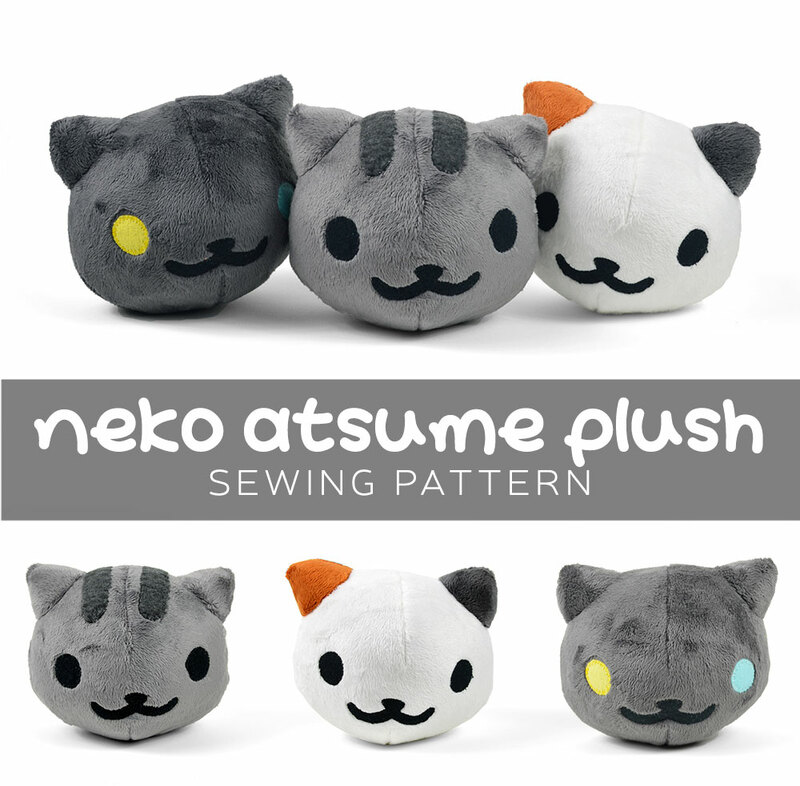 Categories: Free Projects, Nerdiness, Plushies | Tags: atsume, cat, collector, diy, free, game, how to, kawaii, kitty, neko, pattern, plush, project, sewing, tutorial | Permalink.